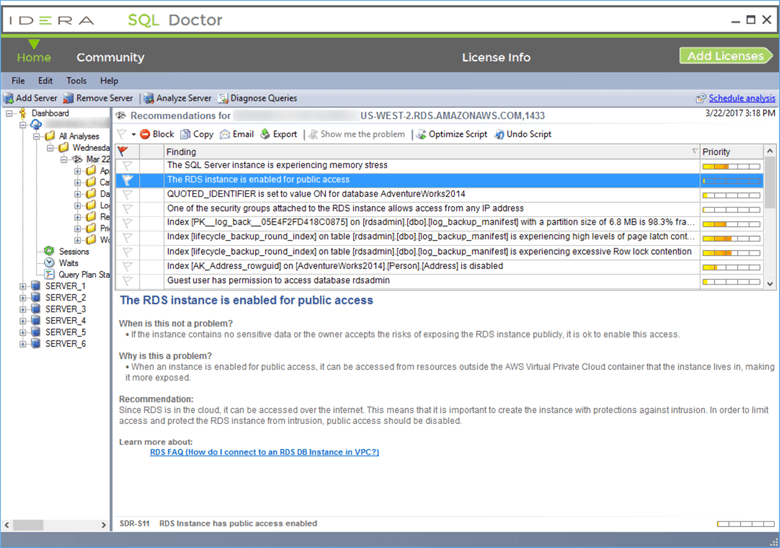 IDERA just released SQL Doctor version 3.6 and this new version brings the SQL Doctor functionality to cloud platforms. Now you can easily check and monitor your on-premises and cloud SQL Server installations to make sure SQL Server is running without issue. SQL Doctor allows you to check your SQL Server instances for issues you should address based on best practices derived and developed by various Microsoft SQL Server MVPs. As you can see below, there are several things that SQL Doctor checks such as indexes, wait stats, memory utilization, database consistency and a lot more. It is extremely simple to use, you select the SQL Server instance you want to analyze. Check whether you want the data collection to be done using either Extended Events or a SQL Trace. You then check the items you want to analyze (for the first run it is best to select all, so you know how things are running). You can also use the Filters section if there are certain things you want to exclude. Once done, you click the Next button and then the Finish button to analyze your SQL Server instance for any issues. Once the analysis is complete, you get an overview of the findings and what items need to be addressed. 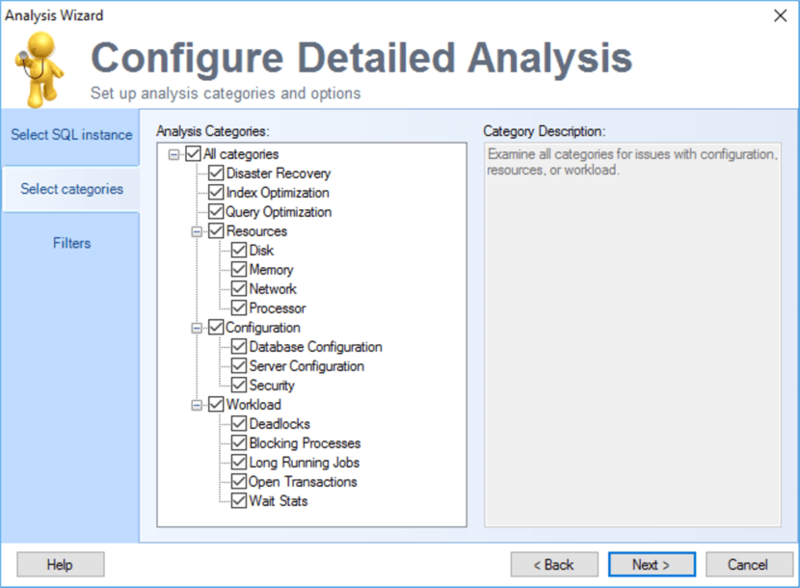 SQL Doctor is a very simple, fast and effective way to analyze your SQL Server instances to identify issues quickly and offer you recommendations and scripts on how to fix the problems. Connect to SQL Server as deployed as an on-premises instance, an instance hosted on cloud virtual machines (Azure VM and Amazon EC2), and a database-as-a-service (Azure SQL Database and Amazon RDS). 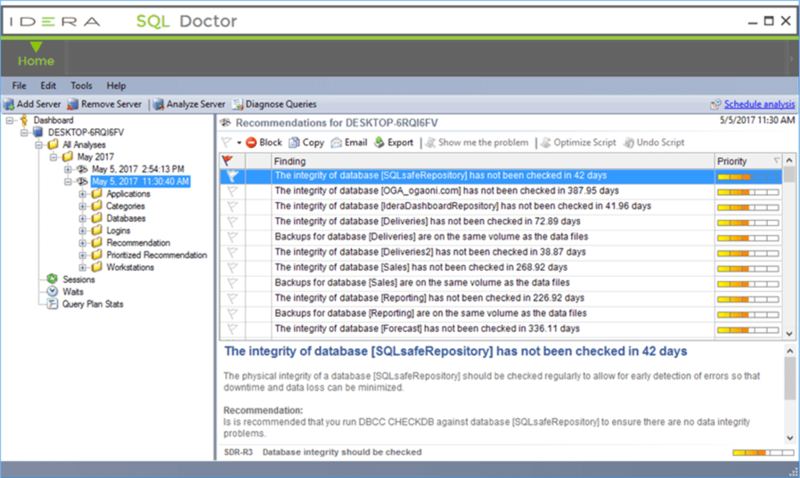 Now you can use SQL Doctor to analyze any type of installation of SQL Server you have deployed. Access enhanced and new expert recommendations that are unique to database-as-a-service. These recommendations include 19 for Azure SQL Database and 59 for Amazon RDS SQL Server. Here are some of the findings for RDS. Here are some of the items you can check for an RDS deployment. Simliar checks are available for Azure. 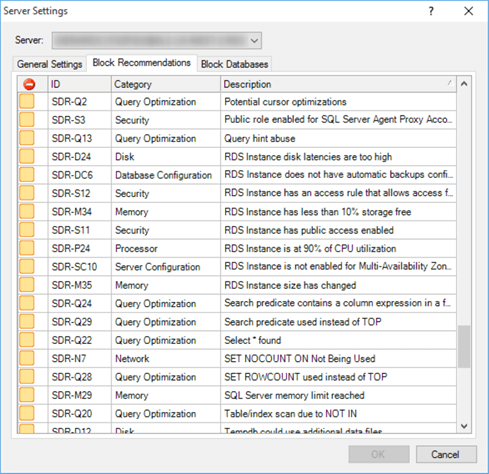 Running SQL Server as a database-as-a-service is great to reduce the amount of time spent on managing SQL Server, but you don't have the same level of control over SQL Server. This is where the information and insight that SQL Doctor offers can be a huge help to make sure SQL Server is running its best when using Azure SQL Database and/or Amazon RDS SQL Server. To collect query-related data, SQL Doctor 3.6 now supports the use of Extended Events, allowing for optimal data collection during analysis. 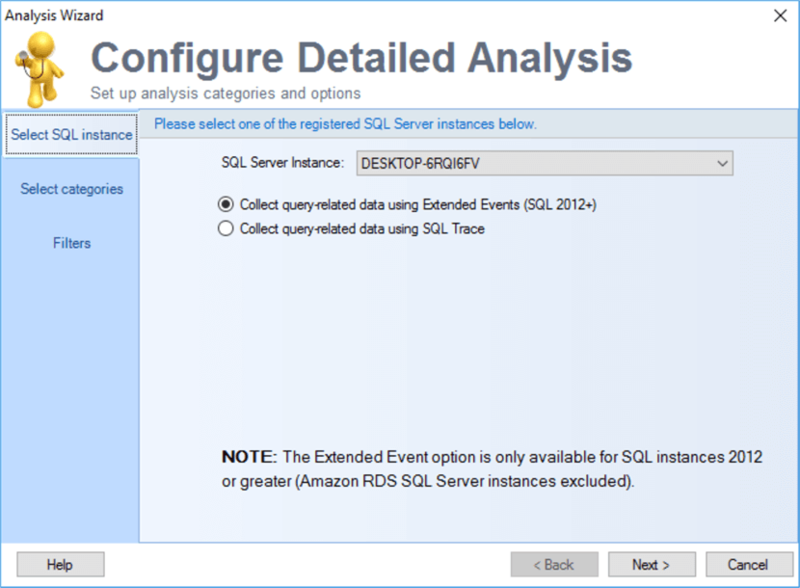 As we saw in the screen shots above, SQL Doctor allows you to use Extended Events to capture data. This is the new Microsoft standard for collecting SQL Server data instead of using traces. If you are already an existing user of SQL Doctor, upgrade your software now. 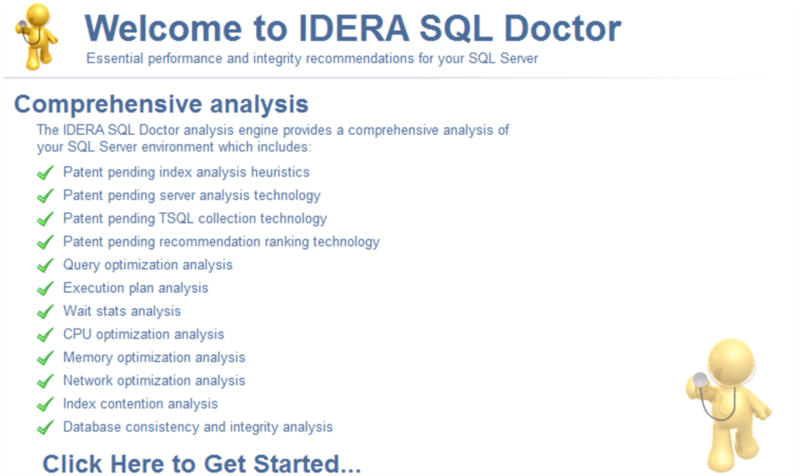 IDERA offers a free 14 day trial edition of SQL Doctor. Download your trial edition today to check out these features and all of the other great features it has to offer. MSSQLTips.com Product Announcement sponsored by IDERA makers of SQL Doctor.